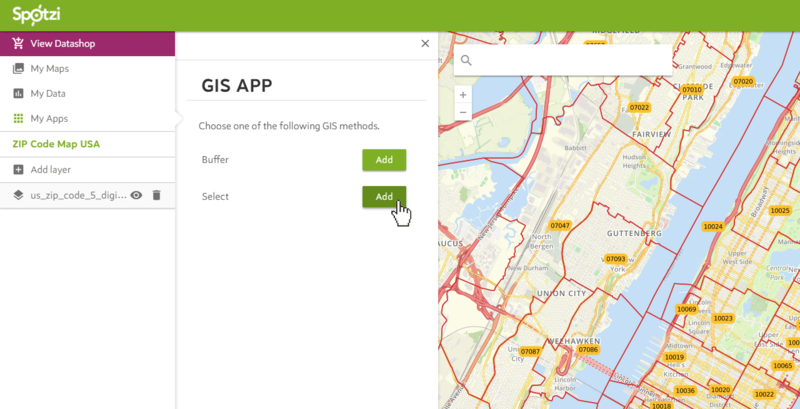 How to use the select functionality in the GIS app? 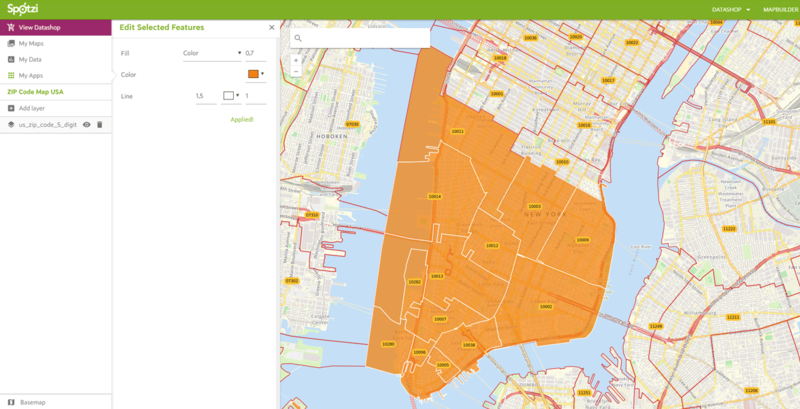 With the GIS app (Spotzi Premium Plan) you can quickly create a buffer or create a selection of your data. 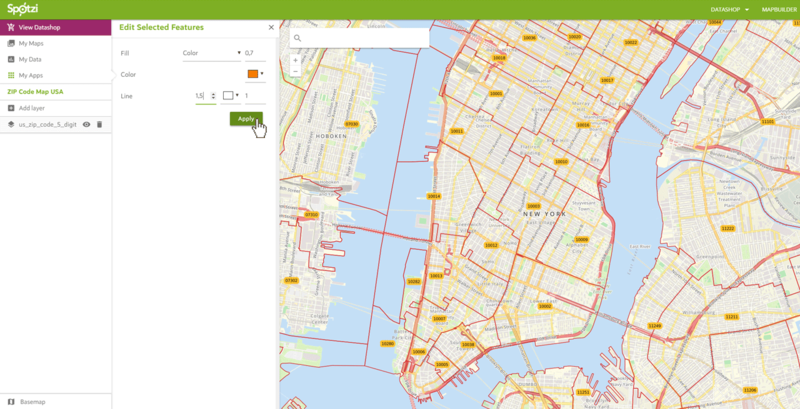 In this documentation we will give you more information on how to select multiple map features and change the styling of this selection. Below you can read a step-by-step guide of this functionality. 1. 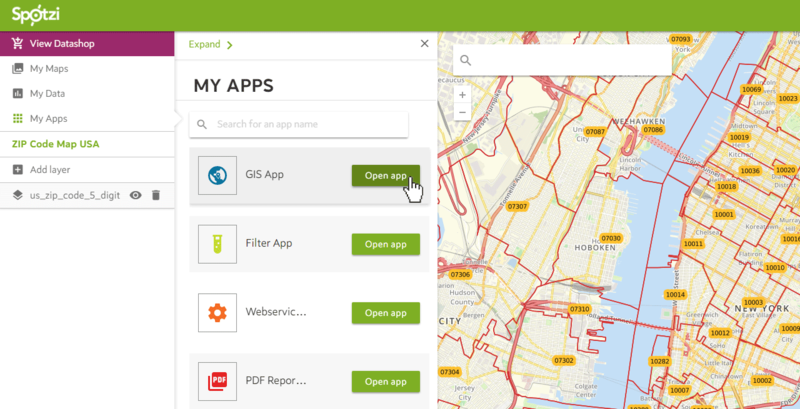 To start this process you have to open the GIS App in your My Apps. 2. Pick the select functionality. 3. 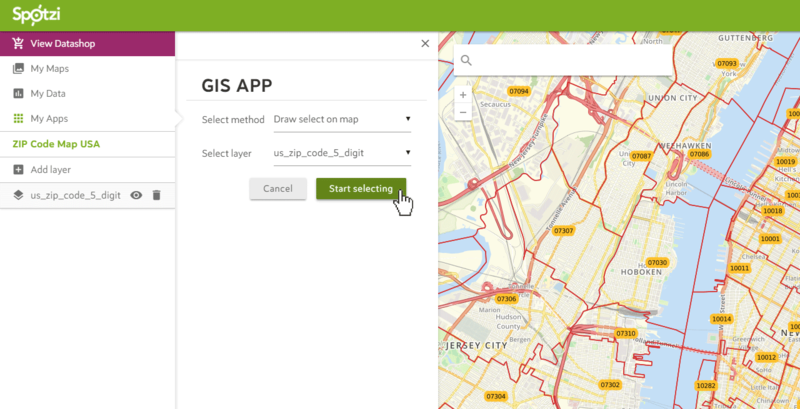 Choose the selection method by drawing on the map. 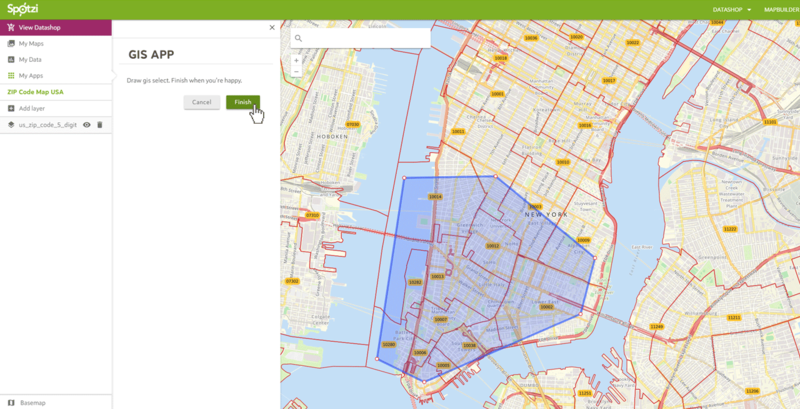 In this example I want to perform my selection on the 5-digit ZIP codes map. Press START SELECTING to create your selection. 4. Create your selection by drawing a polygon on the map. 5. Click FINISH when you’re done. 6. Now the styling options will open to edit the styling of your selection. Click APPLY to confirm. 7. Great! You have successfully edited the styling of your selection.